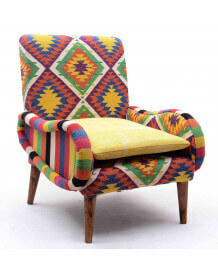 Colors and cheerfulness in your home for this Kilim chair in the Bohemian Chic trend! 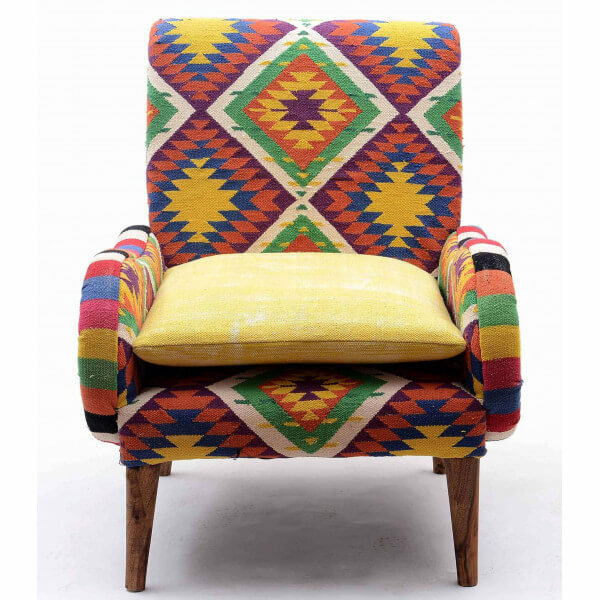 Rugged and comfortable the Tirkan armchair features a thick cotton fabric with colorful, geometric patterns inspired by the Navajo fabrics that the Inca tribes used as carpets or seat coverings. 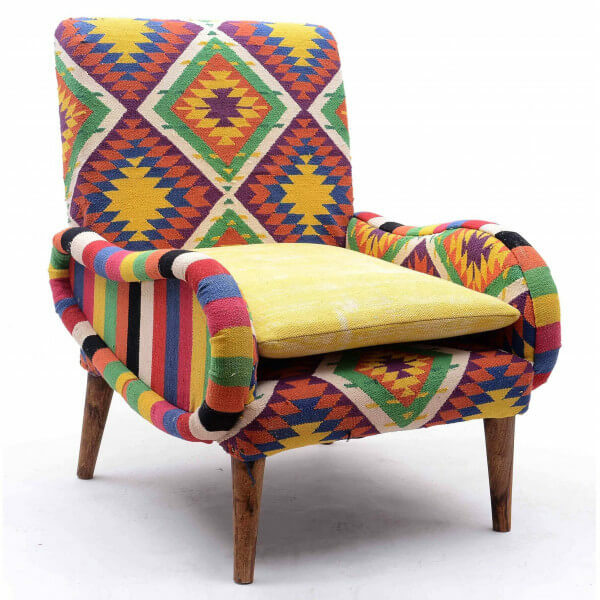 The design of the Tirkan kilim chair takes up the very current lines of Scandinavian armchairs with natural acacia wood legs. 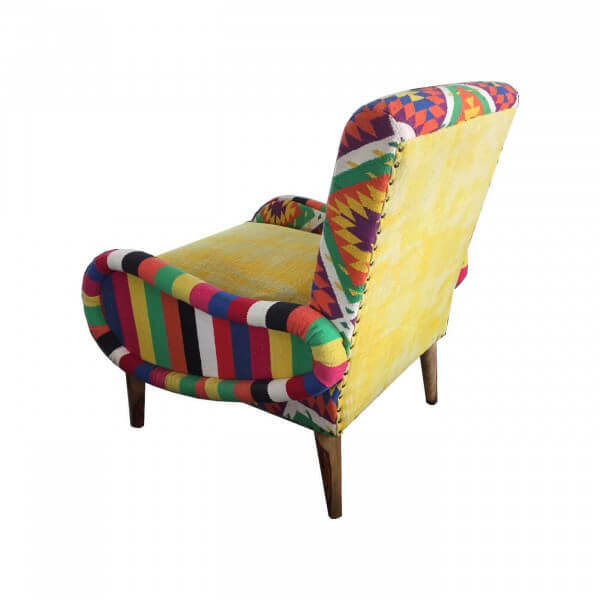 For an interior in the trend Hippies Chic, do not hesitate to mix colors and materials in your interior. 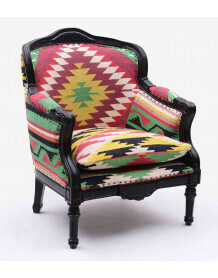 The Tirkan kilim chair was designed and manufactured for Mathi Design, a guarantee of excellent value for money. 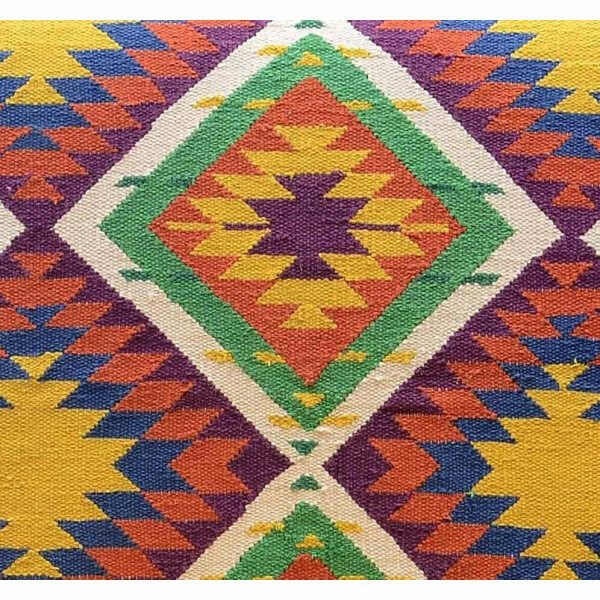 Kilim is a flat-stitched woolen carpet mainly from the Caucasus and Central Asia, and according to some vestiges it was made almost 10,000 years ago. 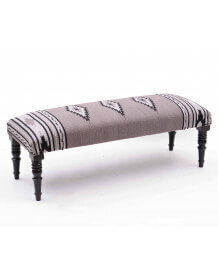 For a thinner and more flexible look, the Kilim can also be made of cotton.